Where in the world you been so long? The first of September we drove the RV to Indiana to visit our first passive solar owner built house in Spencer, Indiana. We go out a couple of times a year to visit and do maintenance on the house. We used to rent it out but the damage and lack of rent payments cost us way more than we collected and for the last five years it has been our vacation home. Besides some plumbing and drywall patching from a leak last year, we had to address the issue with the garage siding. The garage has had a problem with rotting front siding. 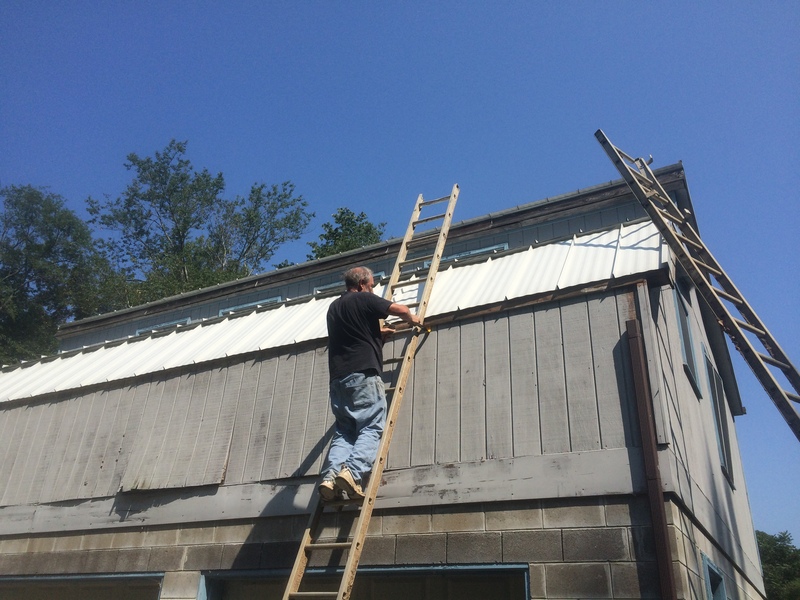 There was a nice gutter system but when Dave got up there to investigate, the new metal roof was too short and water was running behind the gutter down the siding. 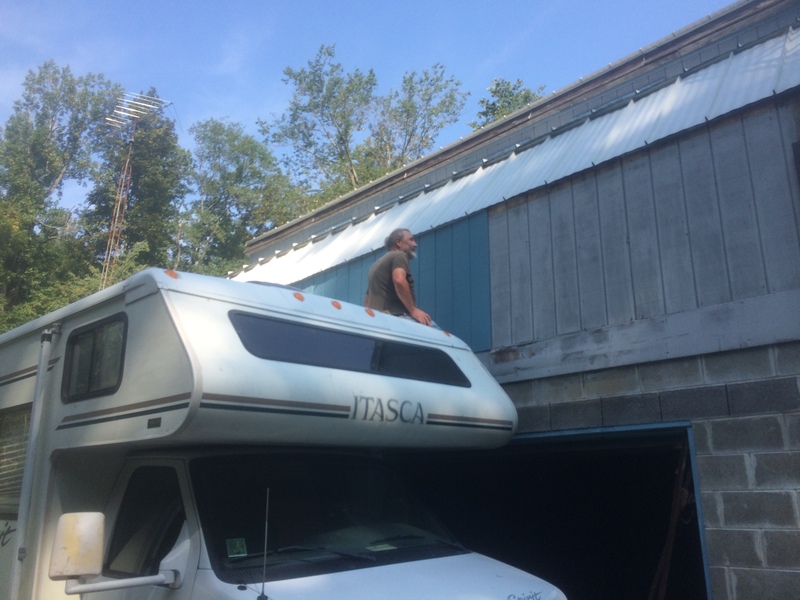 We used the RV to get up high enough to have a solid platform to replace the rotted siding boards. We used exterior paint that we had on hand, so the garage front is now two tone, but the gutter was reinstalled UNDER the roof by leaving out the trim piece. Hopefully that will be enough to keep rain from rotting the new siding. After almost two weeks of fun in Spencer–we have lots of good friends in the area who we love visiting, we drove up to Chicago to move my Mom to Colorado! This entry was posted in Distractions, Maintenance and Repair. Bookmark the permalink.